You can either make this stove top and let it simmer on low or you can use your slow cooker and cook on low for at least 5 hours (the chili will already be cooked, you will just need to let the flavors come together and allow the vegetables to soften). Perfect for a cold day! In a large skillet over medium heat brown the beef and sausage. Place the rest of the ingredients in a dutch oven or slow cooker and allow to simmer. If your using a dutch oven keep the heat on medium until the chili begins to simmer then reduce to low for at least 1 hour. 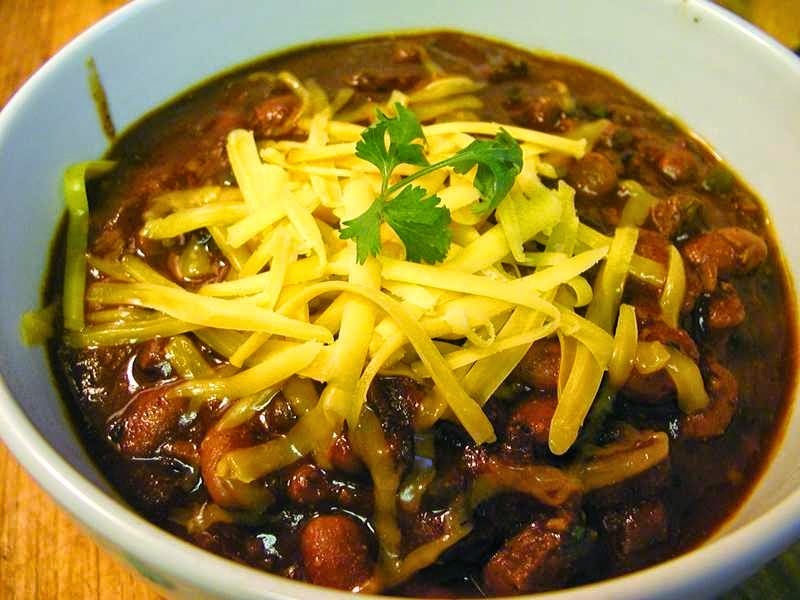 If you are leaving the chili on stove top for more than 1 hour check and stir about every 20 minutes. If your using the slow cooker to keep on low for up to 8-10 hours. Serve with tortilla chips or fritos! Around here this is called "Frito Pie" DELICIOUS!